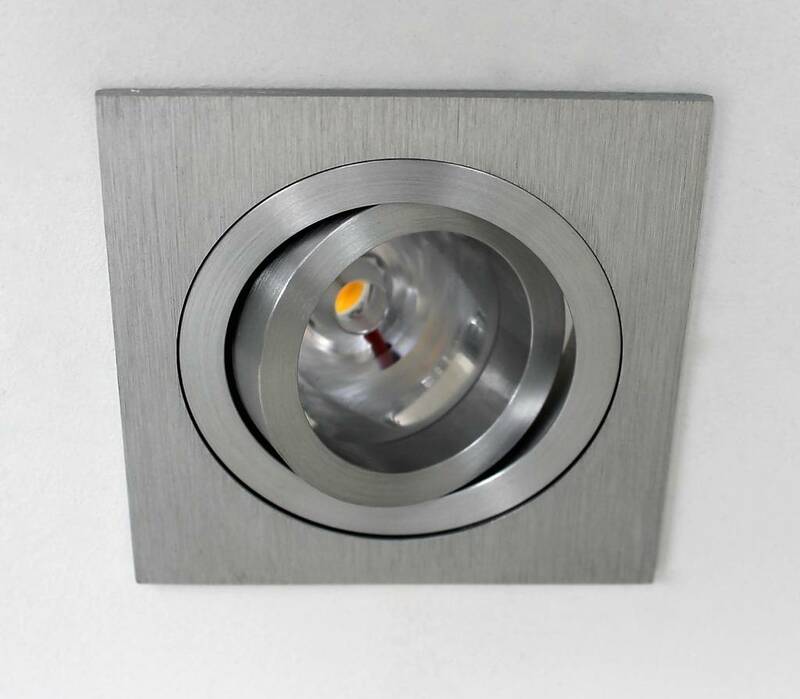 Square recessed downlight tiltable made of turned aluminum. 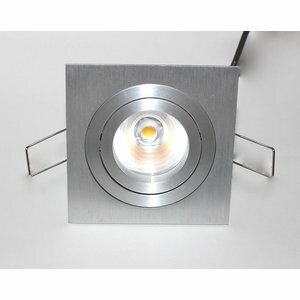 Complete with 9 watt IP65 LED module 2700k. Splashproof and dustproof. Suitable for used in the bathrooms. 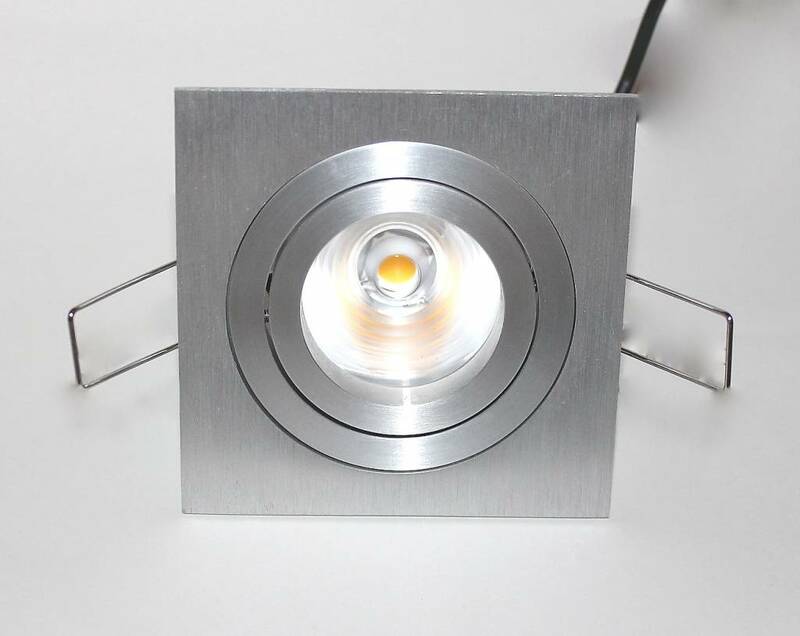 The LED spot is available with blade springs or springs. The version with leaf springs can be mounted in a concrete ceiling or a full ceiling. 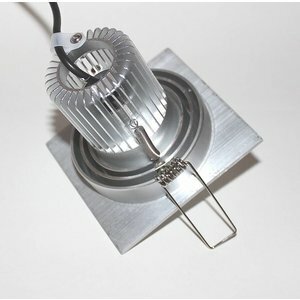 The version with springs is usually used for lowered or plaster ceiling. 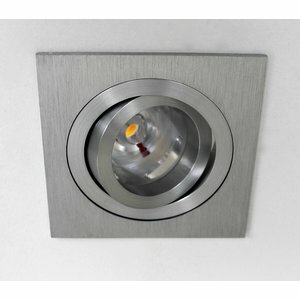 We recommend an installation height of 10-15 cm, which benefits the lifespan of the light sources.